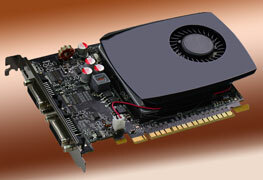 There are two modes of graphics card operation: 2D and 3D. 2D is used for most purposes like email, Internet surfing, office software, and trading software. 3D is used by computer games. Some graphics cards that are excellent at 3D gaming may just be average at 2D graphics. There are some expensive 2D graphics cards (like the Quadro P620) that are outstanding at 2D graphics and have very little 3D gaming ability. ThinkOrSwim Technical Support recommends very high end graphics cards to run their software properly but most other trading programs only require mid-priced graphics cards to perform all that is needed for traders. I usually use two or three graphics cards in my trading computers to run all the monitors that I like to use.